CappController. 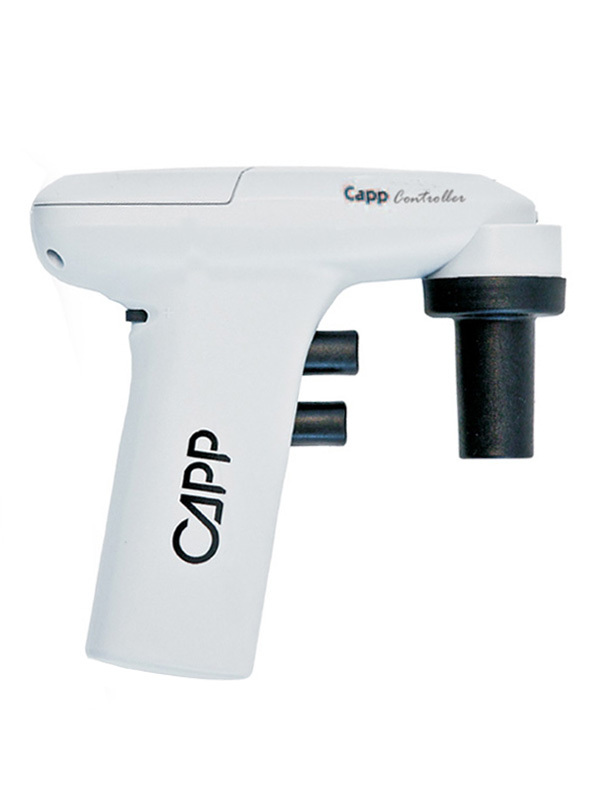 Motorized Pipette Controller of Capp Denmark. CappController is light and fatigue free: weighs only 167g, including the battery. Its lithium battery has no memory effect and enables up to 12 hours of continuous use. CappController can be charged while using. It’s a powerful instrument, filling a 50mL pipette in less than 10 seconds. Fully adjustable speed-setting as well as gravity delivery and blow-out dispensing modes are available. Exchangeable 0.2 μm PTFE disc filter acts as shutdown system if overfill occurs. The exchangeable pipette holders are made of silicon and accommodate glass or plastic pipettes ranging from 0.1ml to 100ml. Vapour outlet for venting out corrosive liquids or fumes. Fully autoclavable nose cone and UV-resistant housing. Complies with CE and RoHS. Light and fatigue free, the CappController weighs only 167g (including the battery). Easy to disassemble and fully autoclavable. Compatible with all well known brands of serological pipettes available on the market. Fully adjustable speed setting. Pipette 50mL in less than 10 seconds. Lithium battery with no memory effect and up to 12 hours of continuous use.